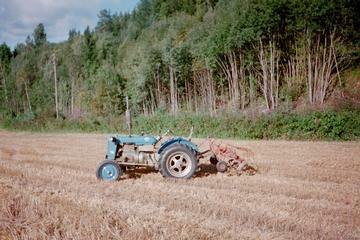 This tractor was restored by my uncle back in 1994, and my uncle gave it to me as a present summer 99.. The picture was taken summer 2000. The tractor has got a Norvegian-produced cultivator..